For the best “Best Video Component,” CEA listed the AVerTV Hybrid TVBox 11 from AVerMedia Technologies, the LG BD300 Network Blu-ray Disc Player from LG, the DCX Series Set-Top Box from Motorola, and the ITC One (Integrated Theater Console) from SE2 Labs. In the “Best Video Display” category, three LG displays are finalists. 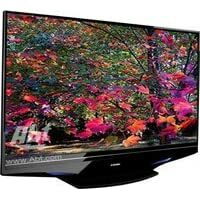 Those models include the 42-inch Class LCD 1080p, 47-inch Class 1080p 120Hz LED HDTV and the 60-inch Class 1080P Plasma HDTV. Also a finalist for “Best Video Display” is the Kestrel Projection Screen from Elite Screens, the LaserVue TV from Mitsubishi, the HD8200 Home Theater Projector from Optoma, and the 4610HD All-Weather Outdoor LCD TV from SunBriteTV. We can’t wait to hear who wins the awards on March 13. This year, each category will include both a Platinum and Gold award. For more information on all the finalists you can visit www.CE.org/MOE.